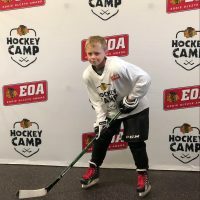 The Chicago Hockey Initiative is thrilled to introduce our 35th Microgrant recipient – Kailey! Kailey is pictured front and center, backed up (left to right) by sister Caroline, father Tom, mother Vickie, and CHI Board members Steve, Patrick, and Scott (with his infant son). This Microgrant award was made possible through the support of our community partner Move-tastic! 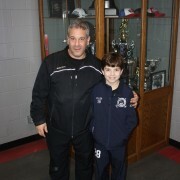 Special thanks to Joe and Gunzo’s hockey headquarters in River Forest for expert equipment fitting and sizing. Kailey is a primary school student from the South Side of Chicago. 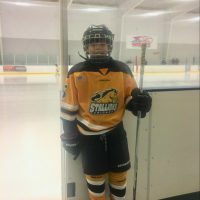 Kailey is a defensemen and works on her backwards skating skills by figure skating with her sister; she is quite quick on the rink! 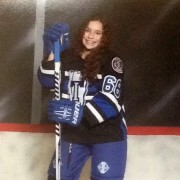 Kailey enjoys her “coaches, scoring goals, and making friends. 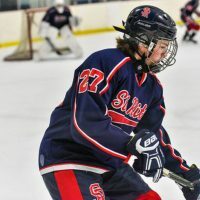 I also like doing stations and playing games,” she wrote in her application. We respect the commitment to practice as well as the games! 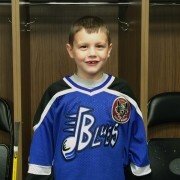 Kailey’s mother wrote that playing hockey helped her sense of confidence and responsibility grow, among other benefits. The CHI is always a family affair and it was wonderful to meet Kailey and her family this past weekend! 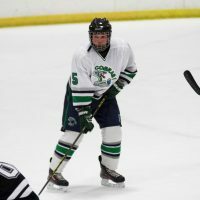 We look forward to catching one of Kailey’s spring league games in the near future! 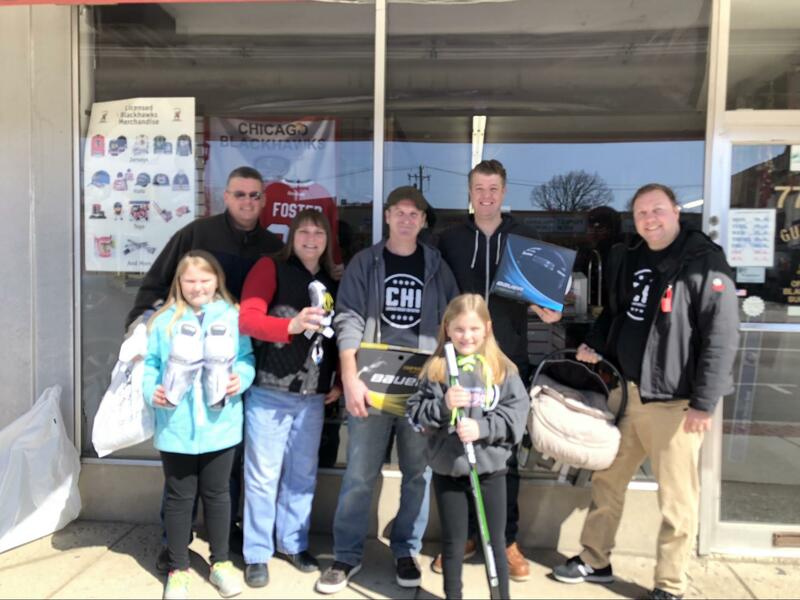 You can support Microgrant recipients like Kailey at the 2018 Chicago Hockey Initiative Bowling Classic.